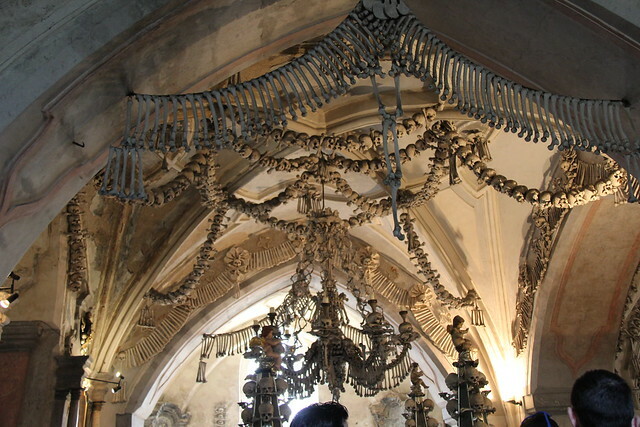 While we were in the Czech Republic Vicki suggested that we should visit the church of bones, so we spent Saturday in Kutna Hora, about seventy-five kilometres outside of Prague. 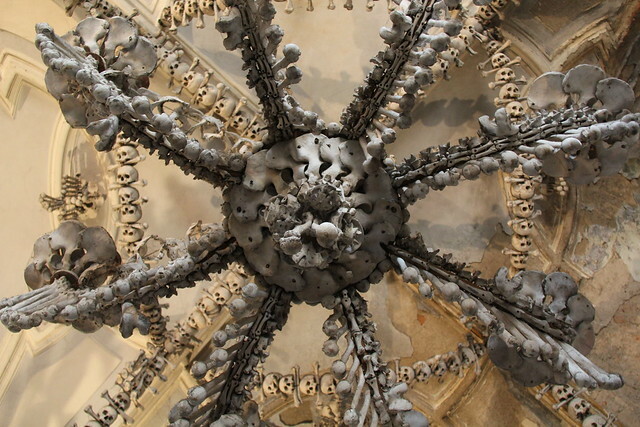 The Sedlec Ossuary contains the bones of at least 40,000 people who died during the Middle Ages. For quite some time the parish was a very fashionable place to be buried, and people would travel long distances in order to bring their relatives there, as it had been sprinkled with earth from the Holy Land in the 1200s. I could have sworn that I read somewhere, though I’ve been unable to back this up with online research, that it was said that the soil had magical properties, and bodies of anyone who was interred there would decompose quickly without putrefying. But over time the cemetery became very overcrowded. 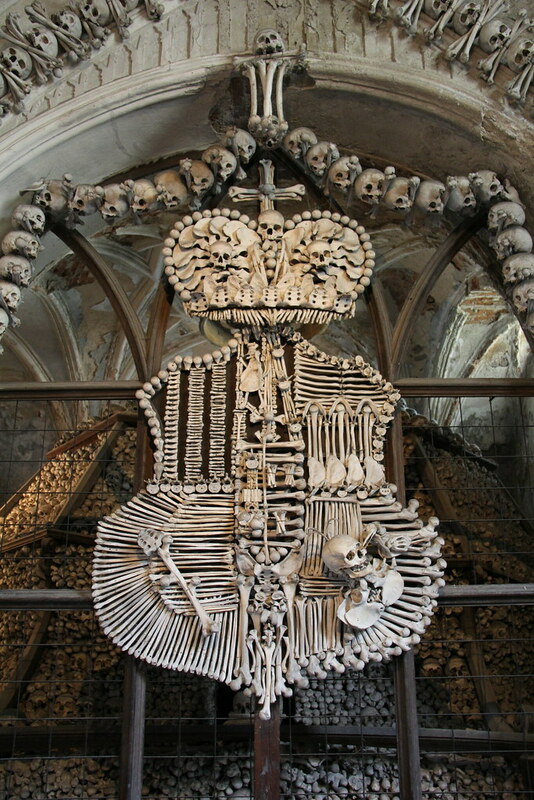 Eventually many of the bodies were dug up and placed inside the chapel in artfully Baroque ways. I suppose some would find that creepy. I didn’t. If anything, I felt a solemn sense of calm, coupled with an awareness of the inevitability of death. 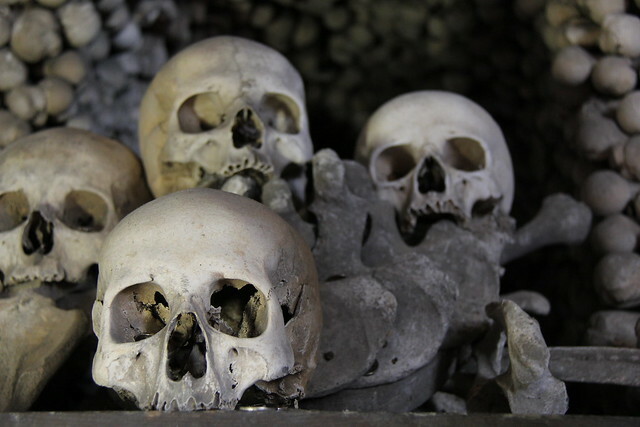 I think it was probably a combination of the fact that the bones were well bleached and that they were arranged in ways that didn’t really suggest any sort of skeletal structure or personality that would identify them as particular people. They’re just assemblies of disembodied objects. In contrast, I’m always left feeling a little icky when I’m confronted by the mummified remains of saints in Catholic churches. 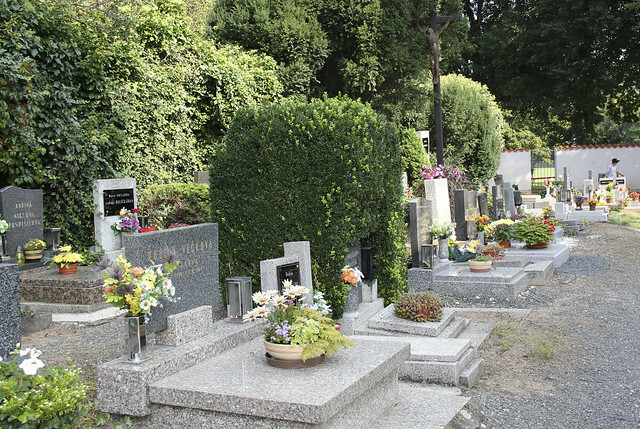 Outside the Ossuary there is a very cheery cemetery, bright with flowers and potted plants. I particularly liked the headstones. The majority of them were very simple, with fantastic 20’s and 30’s style typefaces, and here and there images of the deceased peered out from them. 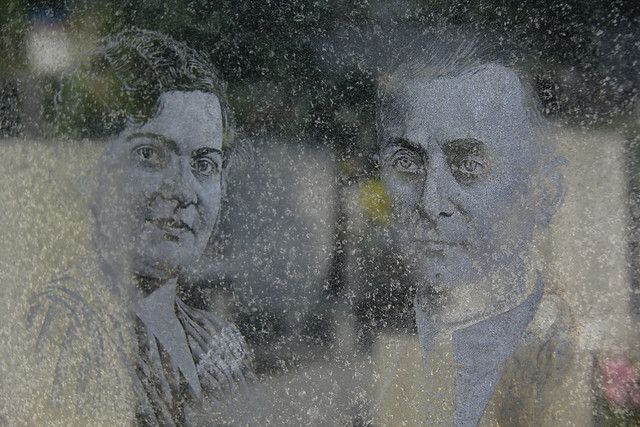 I always find the practice of putting pictures of the deceased directly on the headstones a little strange and foreign, probably for the same reason as above. The person is identified, so you have to reckon with the fact that they had a life and a personality, something you can map memories and feelings onto. You can see more pictures from my trip to the Czech Republic on Flickr here.